Starting the conversation in Westborough around substance use disorder and addiction. In partnership with Westborough Connects, Westborough Youth & Family Services and Westborough Public schools. Attendees may arrive at 5:30pm for a meet and greet with neighbors. The “community conversation” will take place from 6-7:30pm, followed by a Q&A session from 7:30-8pm. 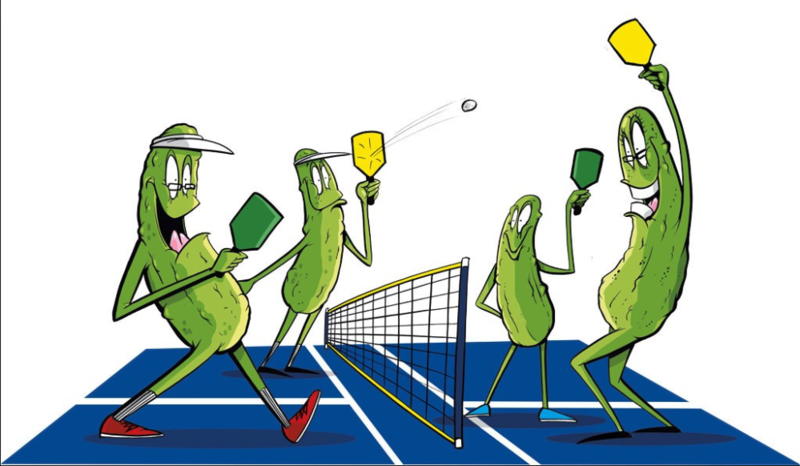 Join us for our 5oth Anniversary Pickleball Tournament in honor of Nelson Ball! This will be a “Mixer” tournament with skill level match up (separating beginners and seasoned players). There will be NO set partner assigned and you will be playing with different opponents at each game time. We will play on four courts during the 3-hour playing window. A Snack, Prizes and Celebration Hour immediately follows the tournament upstairs at the Y. Registration deadline is April 26th. If we get close to our facility capacity, your name will be put on the waiting list. PLEASE arrive promptly for CHECK IN @12:30 noon. Register and pay online or make check payable to: Rotary Club of Westborough. A release form is required to play in the tournament. Download the form from this link. 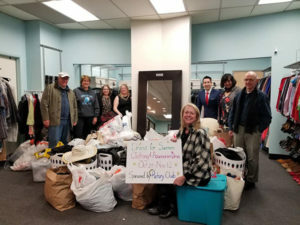 The Rotary Club of Westborough recently hosted a clothing drive to benefit Dress for Success. Dress for Success is a nonprofit whose goal is to empower women to achieve economic independence by providing professional attire and a network of support. 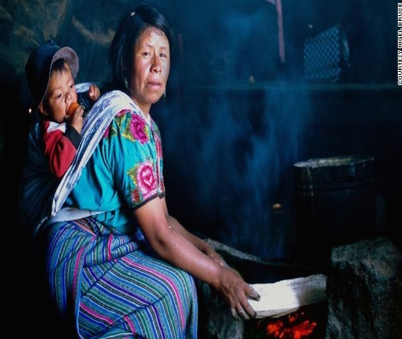 Donated clothing is used to prepare women for job interviews. Volunteers work with clients to choose the perfect outfit as well as prepare and support them for the interview. Women leave with professional attire to carry them through once they secure a position. Westborough Rotarians partnered with the Westborough Public Library and the Boroughs Family Branch YMCA for this event. Both locations served as drop-off sites for the donated clothing. It took seven cars and SUVs to transport all of the items to Dress for Success office. According to Beth Butler who oversees operations for their Worcester location, the items collected – which included suits, dresses, shoes, coats, boots, belts and handbags – were valued at $22,500. 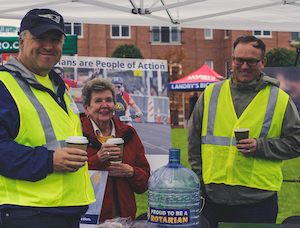 Clubs that are strong and making a positive difference in our communities achieve goals related to Rotary’s three strategic priorities: to support and strengthen clubs, focus and increase humanitarian service, and enhance Rotary’s public image and awareness. The 2017 - 2018 Rotary International Citation recognized clubs that completed activities that support these priorities. 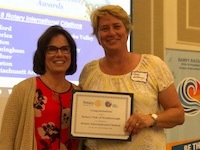 At the Districts awards ceremony held this July, Past District Governor Karin Gaffney presented the Rotary Citation to Westborough's 2017 - 2018 Club President Shelby Marshall. Congratulations to Shelby and all Westborough club members for this achievement. After nearly three years of planning & construction, the replacement and upgrade project for the athletic fields at the high school is coming to a close. The full scope of the project included a new track and alternative infill turf for the Mewhiney Field as well as new ADA compliant bleachers, a new press box, sound system, and field lighting for the first time in the school's history. The project scope and funding also allowed for the restoration of the upper Jimmy Hayes finally bringing that field into proper use for our students and community. 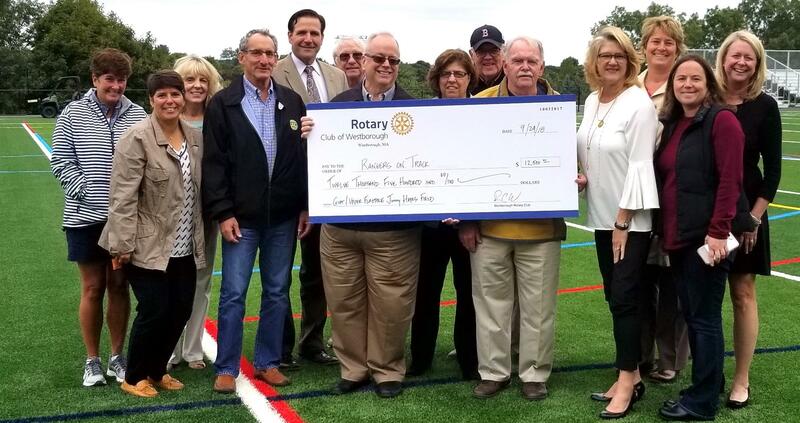 With an eye toward the future of Westborough's students, the Club's Board of Directors pledged its support of the project, and on September 24 presented the town and Rangers On Track with its donation. The Club will be recognized for its contribution with the naming rights to the flagpole on the upper Jimmy Hayes Field, as well as a plaque alongside those of the other supporters located in the main area of the complex. Join Us At Our Next Meeting For Lunch or Dinner!